"Historical license plates are new plates issued by the DMV to a vehicle that was manufactured more than 25 years before the current calendar year that is used only as a collector’s item or exhibition piece, and not for daily transportation." This car caught the eye of many passerby's with some taking photos. It even caught the attention of Marky Ramone who was dining at Sociale. He commented "that's a really nice car" as he was about to take a photo with me and my fiance. 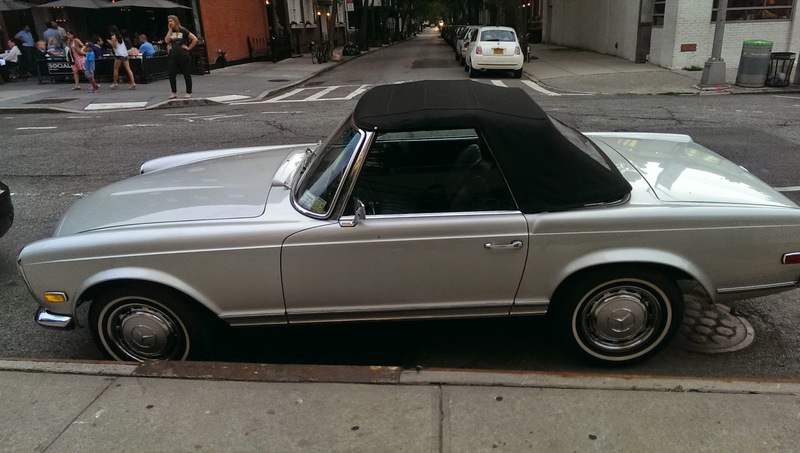 Here is a great video about the Mercedes 230SL Coupe Convertible. 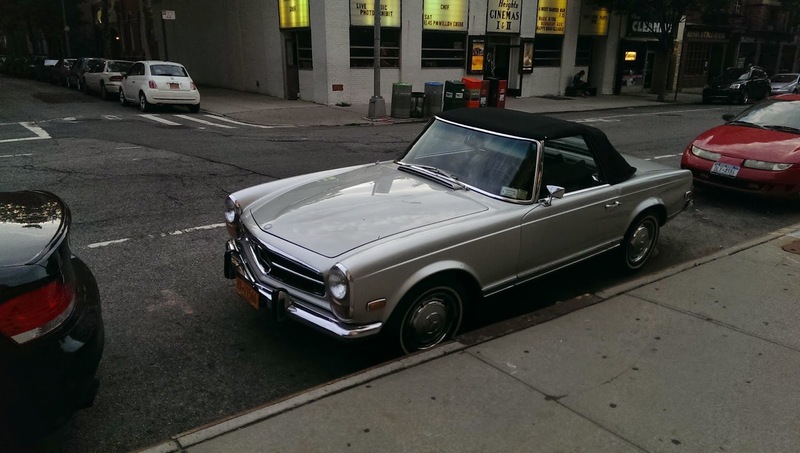 Posted in brooklyn, car . Bookmark the permalink. RSS feed for this post.